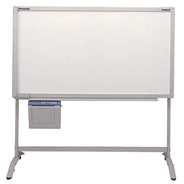 Share, save and print notes from your whiteboard with the Panasonic range of copyboards. 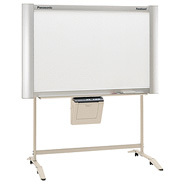 Share, save and print notes from your whiteboard with the Panasonic UB-7325 Panaboard. 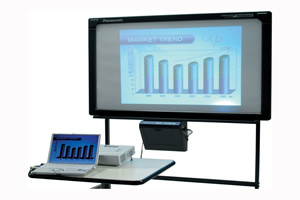 The Interactive UB-8325 Panaboard offers you complete interactive control of any presentation or lesson. Control all of your standard office applications from the board using the electronic pen, save, print and share.